Mt. 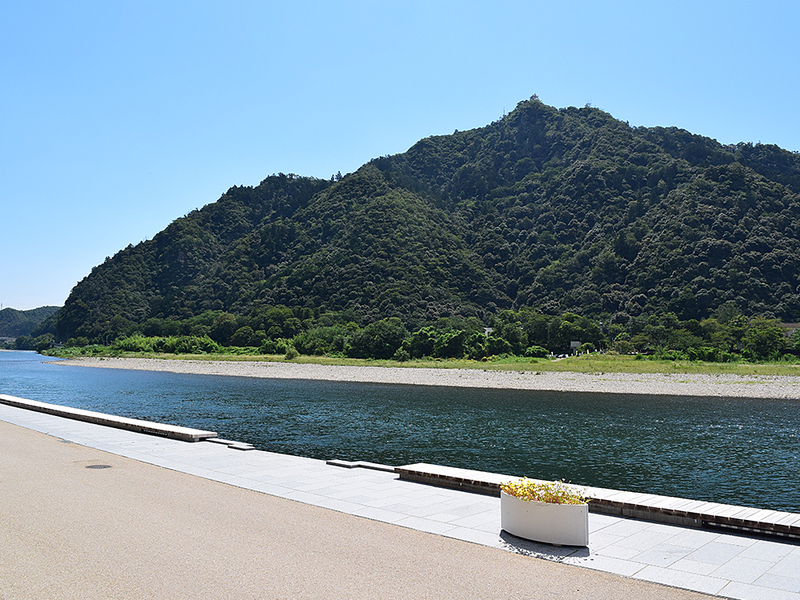 Kinka is located in the center of Gifu City and its height is 329 meters. It was called Mt. Inaba in past times. As Gifu Castle dominates its top, this mountain was the scene of frequent military action during Japan's Sengoku or "Warring States" period. On top of Mt. Kinka you can enjoy the Squirrel Village (where you can play with squirrels), a shop, and a restaurant. You can reach the mountaintop by the Mt. Kinka Ropeway accessible from Gifu Park. Protected as a national forest and wildlife refuge, Mt. Kinka is still full of nature, even though it is in the center of the city. Nature trails from Gifu Park to the top of Mt. 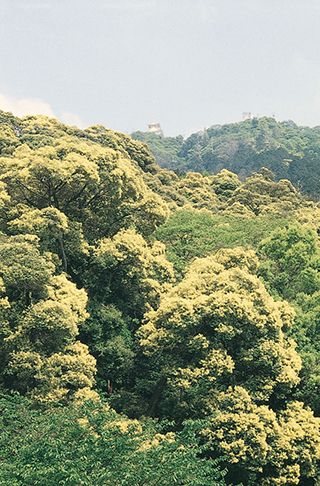 Kinka are popular as excellent hiking courses. The Japanese chinquapin is a tree which belongs to the fagaceae (beech) family. Common around Mt. Kinka, it is the official tree of Gifu City. When the chinquapins on Mt. Kinka are in full bloom in early May, the whole mountain looks golden yellow; it is said that this is the origin of the mountain's name of Kinka, which means "golden flower". Get off and walk 3 minutes to Mt. Kinka Ropeway station or Nature trails.